Big Brother is watching you. At least that is what you might be thinking when you're suddenly presented with online popup ads related to a recent web search. Is it safe to say that you were being tracked from one website to another? Actually yes, but there is nothing sinister about this. It is a very common practice known as ad retargeting and it's helping many online businesses pull in new customers. Are you currently running an ad retargeting campaign? If not, you should be, because the conversion rates on retargeted banner ads are much higher, in many cases up to 20%. Retargeted ad campaigns target the 98% of the audience that don’t buy after leaving a website. Traditional display advertising has mostly been used as an awareness and branding tool. Whereas, retargeted ad campaigns have been great for driving conversions on your site, be they sales, sign ups, leads or subscribers. If the goal of your advertising campaign is direct sales or signups and you have a decent amount of traffic then retargeting is ‘right’ for you. It’s all in the cookie. Every time you log onto the Internet and start surfing you leave a trail of breadcrumbs wherever you go. Those "breadcrumbs" grow into cookies. This is the tracking technology that allows visitors to any e-commerce site to pick up a cookie with every visit. Now they are tagged for potential retargeting. You'll be paying a company to set up a retargeting platform that will collate all those cookies and present a bid to run your ads across many other web portals. These ads are banner ads which can bring that customer right back to your website – especially if they are dynamic. There is a minimum recommended traffic size that you should have coming to your website before starting a retargeting campaign. 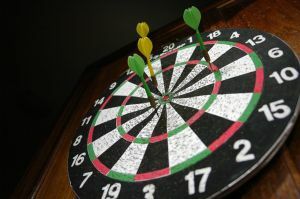 You should be aware that retargeting only targets your site visitors. It has been found that if your site must receive at least 5,000 unique visitors per month. Even if you have less than 5,000 uniques, you can still add a retargeting tracking pixel to your site but your goals should be towards branding instead of sales. Run a contest, or a lead generation campaign. According to a comScore study, companies who use ad retargeting can see a 726% increase in return visits to their websites within four-week period. As for online shoppers, 72% don't finish shopping when they put items in their cart. Of that group, 8% return to make the purchase. Factor in ad retargeting and those returns bounce up to 26%. These numbers definitely provide a convincing argument that ad retargeting should be a strong force for the smart marketer.